Jag håller kurser på svenska och engelska i Sverige, Norge, Danmark och Finland. Kontakta mig för mer info. I was six years old and just about to fall asleep one evening, when the room became brighter and the colors more vivid. Two glorious angels descended to stand on either side of my bed. They wanted me to come and assist them. I was taken to an area where there had just been an earthquake. There were children there who did not realize that they were dead. They could not see or feel the angels who were there to help them because they were completely focused on their bodies. Some tried to shake the arm of their old bodies and some even tried to squeeze back into them. Since I was still connected to my body, I had a lower frequency than the angels, and the children could feel me when I touched them. My task was thus to take them by the hand and turn their focus away from their bodies. Only then could they see the angels and the light. This occurred for many years. It was draining and I was exhausted when I woke up. At the same time though, it was a privilege and an important lesson to learn that we are here to help each other. We are here to learn and to service all of creation. I realized that I am a part of the whole, as the whole is a part of me. In 1995, Ilizabeth Fortune was hosting a MerKaBa workshop in Sweden and I simply had to be there. The MerKaBa turned out to be a gateway into deeper levels in my heart. I have been following Drunvalos work since then and the MerKaBa has been a part of me. I was living my dream as an artist in 2009, creating glass art, art-work in ceramic and paintings, all inspired by angels and masters. I had workshops called �? ?Find Your Own Path�? ?, guided by angels and sometimes ascended masters. In addition to this, my higher self wanted me to go even deeper. In a vision of my home, I saw a newly built art studio and myself as a teacher in some kind of MerKaBa teaching. This vision seemed impossible because I live on a tiny island in a Marine National Park, and receiving a building permission is very difficult. Also, as an artist, I am an undesirable candidate for a loan as my income is sporadic and unreliable. The vision became even more unlikely when I found out there had been no MerKaBa teacher training for years. Today, my improbable vision has come true, including the studio. There are no words to describe how grateful I am to be accepted by Drunvalo and the Council. To be allowed to be a part of and to mediate the marvelous �? ?Awakening the Illuminated Heart in the School of Remembering�?? teaching is my life�? ?s greatest honor. Together we are making our dreams come true. Together we are creating a new world. I Undersåker,�?re,Sverige 2,5 timmes bilresa från Trondheim önskar jag dig välkommen till denna kurs. Praktisk info på www.ateljelovas.se Hemsida tillfälligt kapad! I Undersåker,�?re,Sverige önskar jag dig välkommen till denna kurs. Praktisk info på www.ateljelovas.se OBS! Hemsida tillfälligt kapad. Maila i stället till: monica(att)artofmonica.se eller +46 708434606 för info om kurs. Karin Fjällström: addessence(att)live.se för praktisk info. I can highly recommend Monica's \"Awakening The Illuminated Heart\" Workshop - it was done in a loving and caring way and I felt in safe hands through out the workshop. Monica is an amazing teacher!!! Her voice is full of love and her energy is so warm and welcoming. 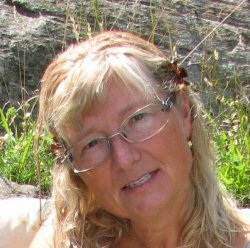 She was very thorough with the material and facilitated great, spiritual experiences and healing. I'm very much in awe with her abilities. I am so happy and grateful that I could attend the ATIH course. Monica is a such good , wellspeaking and loving teacher. I am looking very much forward to the next course. Thankyou ????????️???????? Got things explained in a way that I could understan. In a way that felt natural.